Genetic differences underlie the majority of age-related deficits and differences in individual's DNA drives differences in lifespan. Aging is regulated by hormone related signaling, particularly metabolic and growth-related pathways: i.e. insulin/IGF-1. The decline of the immune system over time leads to a reduced ability to fight infections, leading to accumulating damage. This theory is supported by evidence that certain facets of the immune system become less effective over time, i.e. antibody-based immunity declines over time. The greater an organism's rate of metabolism the faster the rate of aging. 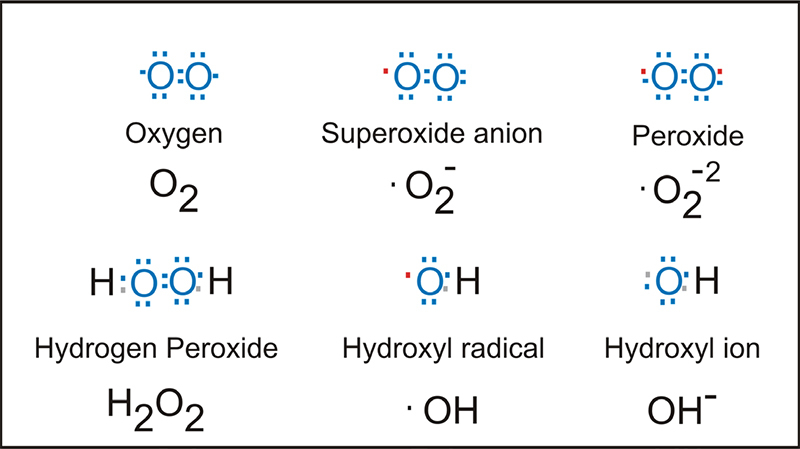 Cross-linking reactions, linking different biological molecules together, occurs with increasing frequency as an organism ages and directly results in cellular aging. Damage to DNA occurs all the time, but the healthy cell can correct these errors. This theory postulates that these error correction processes become less effective as one age. Free radical molecules accumulate over time and begin to damage cellular proteins and DNA. Mitochondria are the main cellular producers of free radical compounds, so the theory arose that mitochondria are the main cellular targets of reactive oxygen species. Put forth by Aubrey de Grey; the mitochondrial proliferation hypothesis is that mitochondria damaged by free radicals may proliferate more than functioning mitochondria. Mitochondrial free radical production is negatively correlated with longevity in mammals. The increase of mitochondrial anti-oxidant enzymes causes an increase in mean life span in mice. However, at present de Grey's theory is as yet unsubstantiated. There hasn't been any data to demonstrate that defective mitochondria accumulate to any great degree, compared to healthy mitochondria. The mitochondrial free radical theory of aging is well-substantiated and has been developed over the past 50-60 years. However, specifics of the mechanism underlying reactive oxygen species, mitochondrial function, and mitochondrial proliferation, are not fully worked out. In particular, experiments that draw a direct link between mitochondrial free-radical levels/damage, and cell clearance of defective mitochondria, need to be carried out. Recently we sat down with Aubrey de Grey to discuss his theories and his life's mission to combat aging. Check out the Thinking Podcast on SoundCloud and Youtube. Jin, K. (2010). Modern Biological Theories of Aging. Aging Dis, 1(2), 72-74. Harman, D. (1955). Aging: a theory based on free radical and radiation chemistry. PLoS One. 2013;8(1):e52416. De Grey, A. D. (1997). A proposed refinement of the mitochondrial free radical theory of aging. Bioessays, 19(2), 161-166. Sanz, A., & Stefanatos, R. K. (2008). The mitochondrial free radical theory of aging: a critical view. Curr Aging Sci, 1(1), 10-21. Jacobs, H. T. (2003). 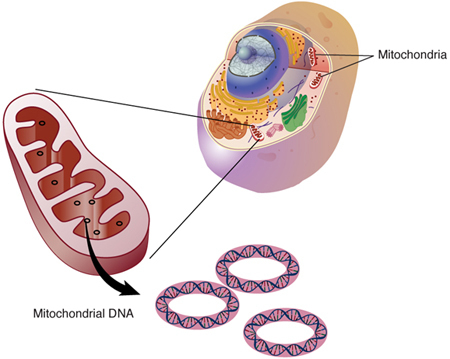 The mitochondrial theory of aging: dead or alive? Aging Cell, 2(1), 11-17.